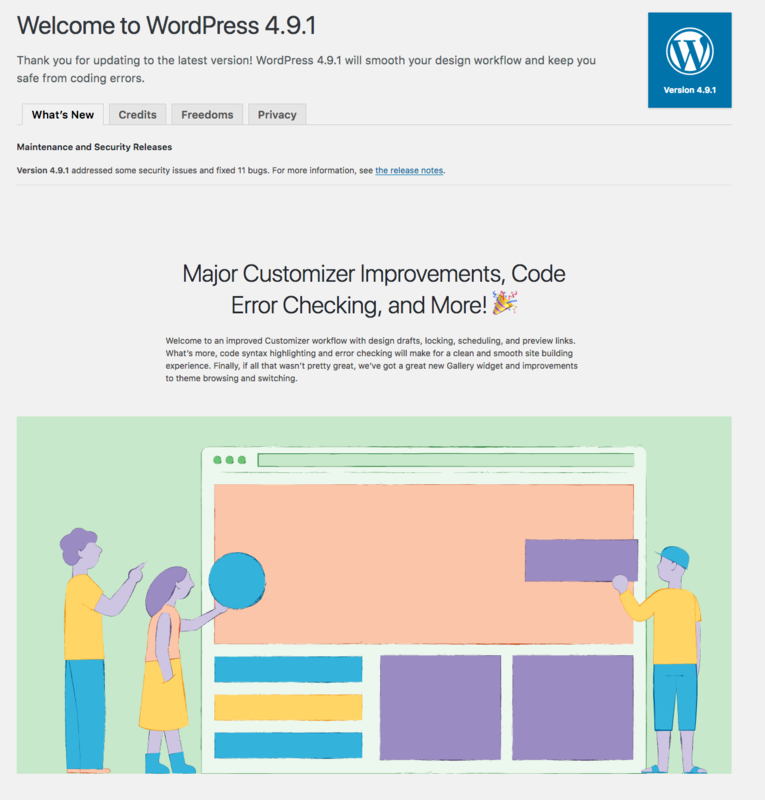 With the release of WordPress 4.9 came some beautiful illustrations (by @melchoyce) on the about.php page in Core. I'd like to bring this illustration style over to wordpress.org and use some throughout the site. A great starting point is to get an illustration for each of the 4 freedoms using this same style. This ticket was mentioned in ​Slack in #design by mapk. ​View the logs. @mapk What's the status on this? @obenland we've got some illustrations from @cathibosco1 to review in our next Design slack meeting tomorrow. It's definitely being worked on right now. It would be really helpful if they all had the same dimensions and could be made into SVGs (or two sprites, one for 1x and one for 2x). @obenland @mapk - I am adding the SVGs to the trello board right now... square and landscape formats for us.. Thanks! I also added the optimized version of them... please let me know if you want me to prepare the files for animation. I could prepare them for us to do some very subtle animation on load or on scroll... thank you. Thanks for that @cathibosco1! Even optimized, the SVG files are 6 - 20x bigger than the PNGs. What do y'all think about doing two PNG sprites, 1x and 2x? The 1X files are pretty large. I put them all through an optimization process in photoshop though which should help. I am not sure the preferred display size for images on the page - it is possible that the 1x size images could be big enough to actually function as the 2x - let me know if that is true. I can pull smaller ones.